Tonight at the Crocodile, a Balkan Brass Blowout! Join us this evening, January 24th, for an all ages, jam-packed extravaganza of Balkan Brass and more. Bucharest Drinking Team begins the night with a bang, followed by The m9, and local Greek legends Dromeno. Long-time favorites Orkestar Zirkonium and the up-and-coming Eurodanceparty USA round out the evening with high energy dance, pop, folk, and everything in between. Doors are at 830, music at 9. We hope you’ll join us for what promises to be a delectable appetizer to the main course, Balkan Night Northwest 2015 (Feb, 21-22). For more information, click here. 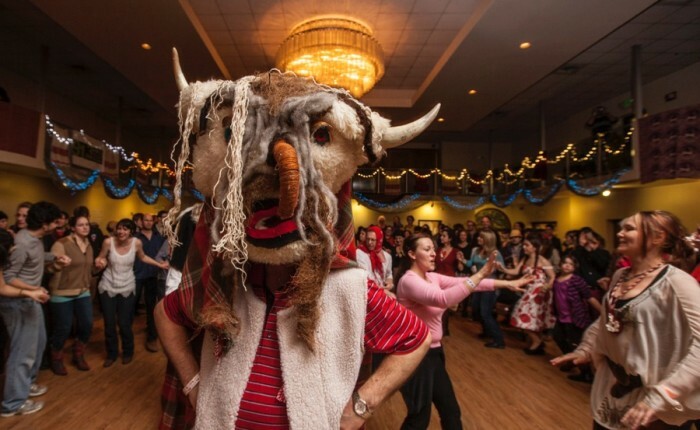 Tonight at 7pm, The m9 will kick-off HONK! 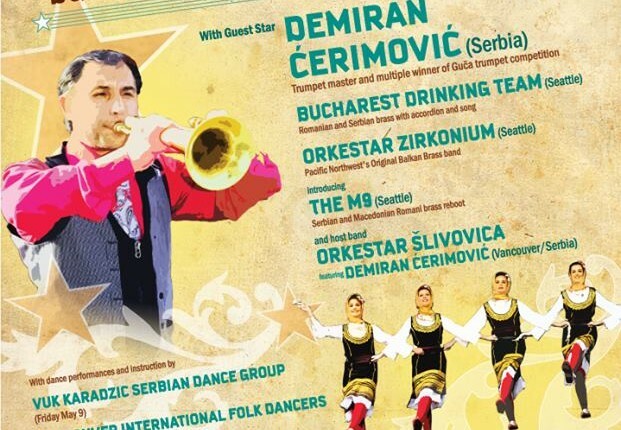 Fest West 2014 with our unique mix of Balkan Romani Brass and other world influences. Tickets are $8adv/$10 door and proceeds support the bands travelling from other parts of the country. If you can’t make it tonight, come to one of our other Honk! Fest West performances: on Friday Night in Georgetown, or on Saturday at Gasworks. Regrettably, we’ve had to cancel our Sunday appearance. See you at HONK! Balkan Flood Relief Show a Success! The m9 is pleased to have had the opportunity to perform at a benefit show at the Sarajevo Lounge in Seattle. Together with Orkestar RTW, Balkanarama, Dromeno and the Bucharest Drinking Team, the organizers raised $1,674! More benefits are planned going forward. Spread the word about this situation and about the benefits to your friends and family, please. 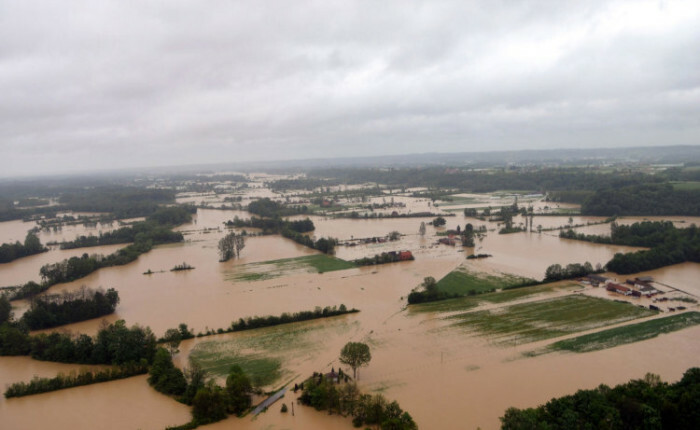 Folks, we are hearing more and more about the terribly flooding which has gripped large parts of Bosnia and Serbia this spring. The worst flooding on record is devastating some of the poorest regions of some of the poorest countries in Europe. Please consider donating whatever you can spare to help the victims of this catastrophe. The m9 is pleased to have the opportunity to perform at a benefit show this Sunday night after Folklife at the Sarajevo Lounge in Seattle. We are asking for $10 or whatever you can spare at the door, with the money being split between organizations directly helping in Bosnia and Serbia. 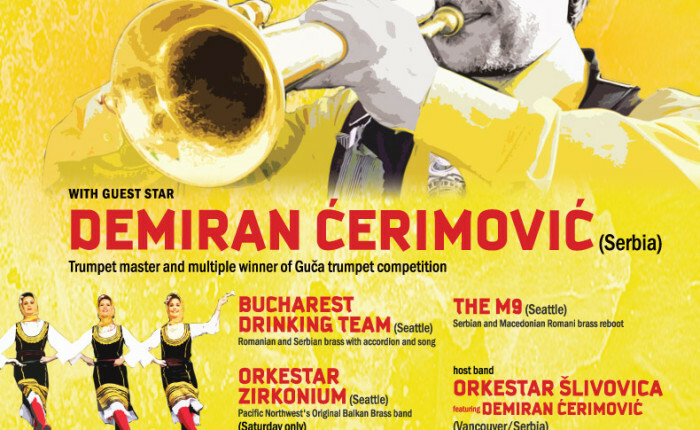 Also on the bill will be Orkestar RTW, Balkanarama, Dromeno and the Bucharest Drinking Team. Another benefit at Sarajevo Lounge is scheduled to take place on Saturday with members of Kultur Shock and more benefits are planned going forward. Spread the word about this situation and about the benefits to your friends and family, please. We’re hard at work getting ready for the Ederlezi Festival up in Vancouver, BC, but for all our Seattle fans who can’t make the trek, we’ll be at HONK! Fest West in late June. HONK! 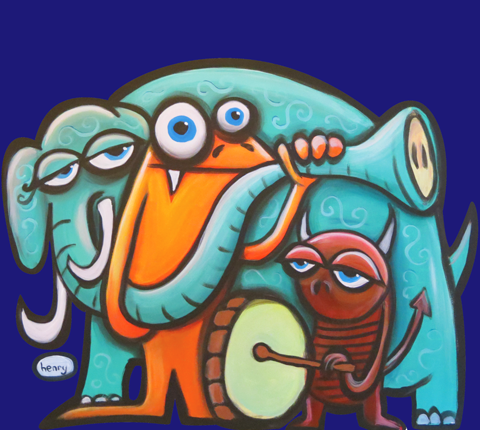 Fest West is a free community festival of street bands and brass bands seeking to increase the ruckus on the streets of cities like Boston, Austin, and Seattle. 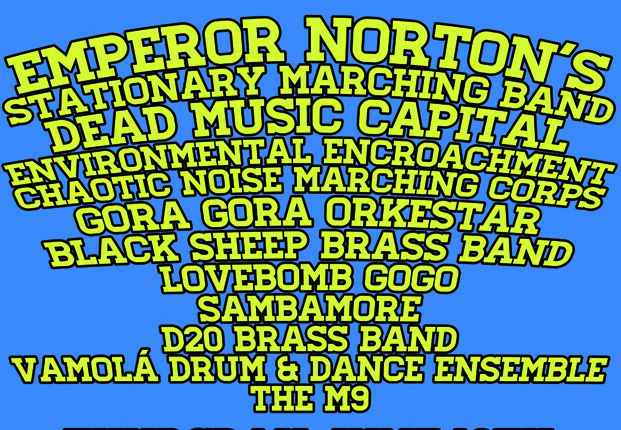 We’re pleased to be among this years bands, and we are ready to bring the ruckus! We’ll see you at HONK! Whoa, check out our sweet website! Hey folks, we have this new web-page thing. We were thinking about using frames or flash, but I suppose WordPress will have to do for now.